Centristic’s new workshop extension mid-way through the erection. Cladding rails have just started being fitted. 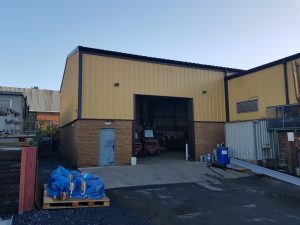 Following on from the recent success of a number of projects and with the rest of the year looking full of prospects, it was decided that the Centristic workshop would be expanded to increase work capacity; and be in a position to be able to work on larger fabrications. Planning permission was granted for the 1500ft extension in early 2016. The Design and Structural Calculations were all carried out in house by the Centristic team. The Centristic team then set about creating all the fabrications drawings required for the extension and quantifying the materials. 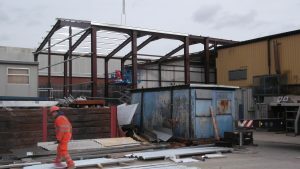 Steel work was produced in our workshops at Heathfield. The Foundations for the new build were calculated by our in house Engineers. The finished extension, fully clad and ready to go. The build was managed internally with one of the Project Management team. The floor slab and brick work was carried out by Centristic specialist sub-contractors. 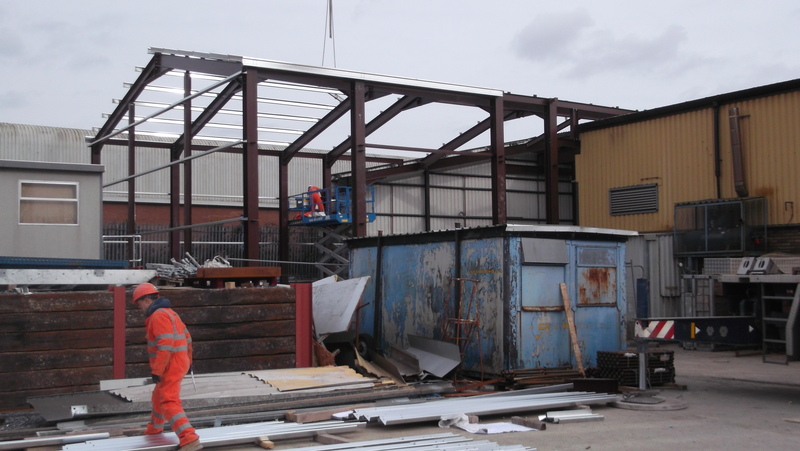 All further steel erection work, roofing and cladding was then carried out by the Centristic site teams. The extension was fully completed during April 2016. We were largely self sufficient on this project, carrying out the vast majority of the work with our own staff. The new workshop extension has increased the workshop capacity, helping us become more versatile and able to push higher volumes through, helping Centristic continue to offer the best service to our customers. The full gallery of pictures for the extension can be seen here.